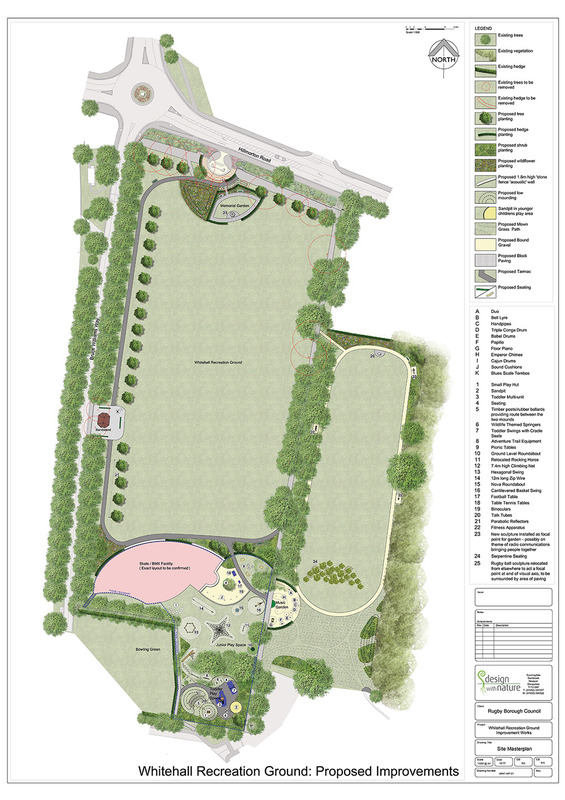 Landscape masterplan produced for Rugby Borough Council. 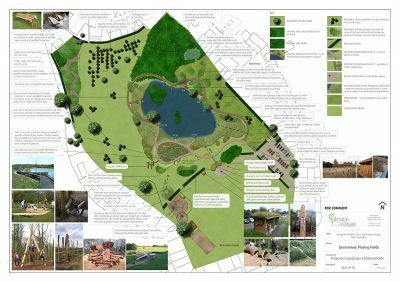 The design approach to the park’s rejuvenation involved respecting its historical form and character while sensitively introducing a new layer of elements in order for it to more effectively respond to modern day expectations and patterns of use. The propos had design has been informed by the sporting, telecommunications and engineering heritage of Rugby. 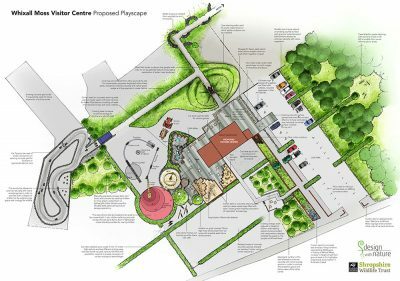 The masterplan includes: visually connecting the recreation ground with the war memorial gates on Hillmorton Road, a dedicated memorial garden, refurbishment of the Edwardian bandstand, new footpaths, exercise track, flagship concrete skate facility and unfenced toddler / junior play facilities and music garden (with wide range of instruments, including a floor piano and pieces which will appeal to those on the autistic spectrum). In addition some musical elements have been integrated into the main play area eg. sound cushions and Cajun drums (both items that teenagers will feel comfortable engaging with) and elsewhere in the park (eg. parabolic reflectors and blues scale tembos) as we believe that playable elements should be located throughout the whole of a public open space and not just confined to one designated corner. 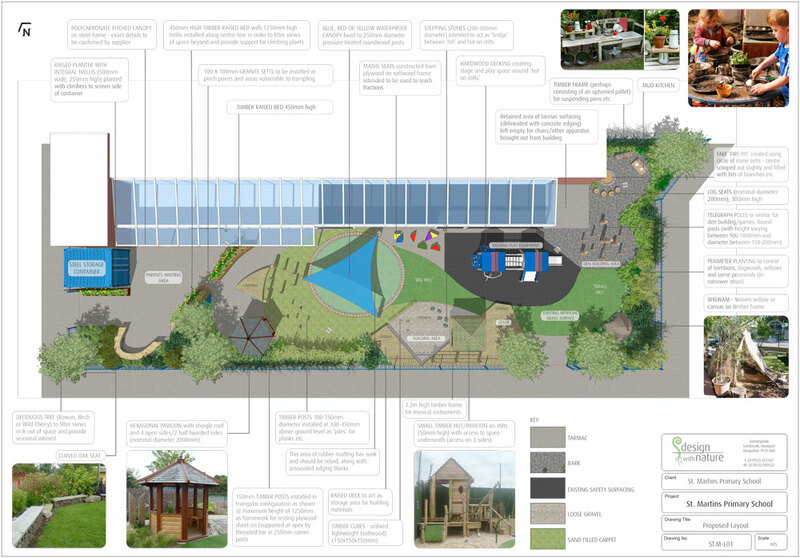 The scheme also includes an activity area with table tennis, table football and chess table. 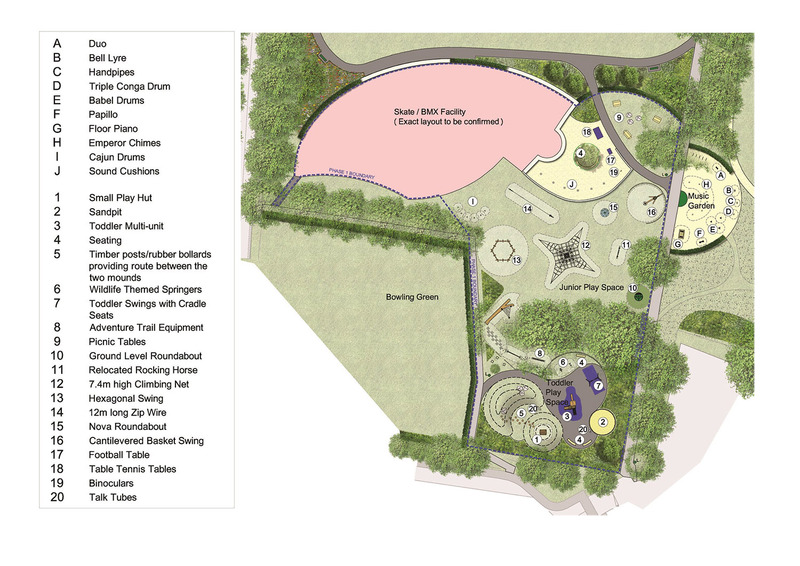 We have just completed producing the contract documents for phase 1 play area works.